The hippest new glasses are making quite the stir in New York. With the creativity and uniqueness of Brooklyn, and the craftsmanship of Japan, Activist Eyewear is coming at you from all ends of the globe. 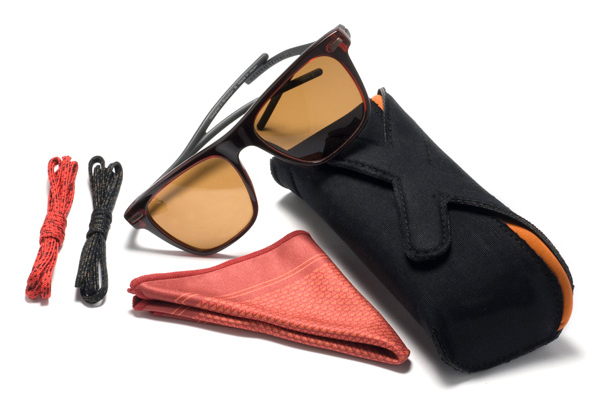 Initially, the main objective of this brand was to reach out to athletes in need of sunglasses that could withstand high-performance and exploration, yet recently the brand has added a sleek fashion forward aspect to its line. I know, I know. You’re thinking that you wouldn’t want to choose between style and performance, but don’t worry, you don’t have to. Made with premium materials, like beta- titanium, the glasses are designed with “Split-Fit” technology, which is unique to Activist Eyewear. We love that. To prevent the sunglasses from hurting your ears and head, the arms of the glasses are split into two and wrapped in plastic or rubber to spread weight evenly. Because of this, the pressure is no longer concentrated in one area and the sunglasses take up a greater area, which also makes them much more secure. If you are a runner, biker, or climber, you know your focus needs to be on your sport, not the sunglasses sliding down your nose. Second to glasses security, polarization matters for athletes that take part in outdoor activities. Activist Eyewear lenses have high performance tinting and block out 100% of UV-A, -B, and –C rays. For those with light eyes, blocking out UV rays is crucial. Living in many different locations as a child, Mark Craig, the company’s creative director, developed a love for traveling at an early age. His inclination towards world exploration is apparent in the design of these glasses. The lens technology used creates unparalleled optics that enhances one’s view of the world. While obtaining his master’s degree in Industrial Design at Pratt University in Brooklyn, Craig fell in love with the Brooklyn atmosphere and decided to make that his permanent home, before the hipster rush. Because of his admiration for the local Brooklyn community, each line of glasses is exclusive, with only 718 made of each pair. Random number, right? Of course, 718 is one of Brooklyn’s area codes, another shout out to the urban inspiration for the line. Let’s face it, Brooklyn is the new Manhattan. It’s the new “in” place, and so is everything that comes out of it.